According to researchers, evidence of post-traumatic stress disorder (PTSD) can be traced back to 1300BC – much earlier than previously thought. The team at Anglia Ruskin University in the UK analyzed translations from ancient Iraq or Mesopotamia. Accounts of soldiers being visited by “ghosts they faced in battle” fitted with a modern diagnosis of PTSD. The condition was likely to be as old as human civilization, the researchers concluded. 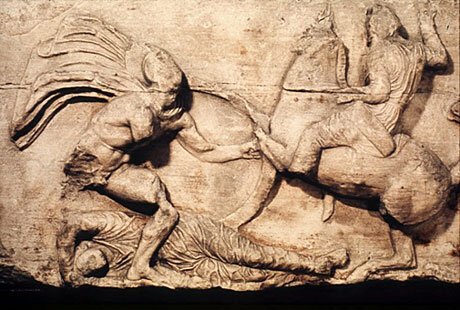 Prof. Jamie Hacker Hughes, a former consultant clinical psychologist for the UK’s Ministry of Defense, said the first description of PTSD was often accredited to the Greek historian Herodotus. Prof. Jamie Hacker Hughes’ report – titled Nothing New Under the Sun – argues there are references in the Assyrian Dynasty in Mesopotamia between 1300BC and 609BC. In that era men spent a year being toughened up by building roads, bridges and other projects, before spending a year at war and then returning to their families for a year before starting the cycle again. A diagnosis and understanding of PTSD emerged after the Vietnam War. It was dismissed as shell shock in World War One.